Edibility: No. Possibly poisonous, although I can not verify that. 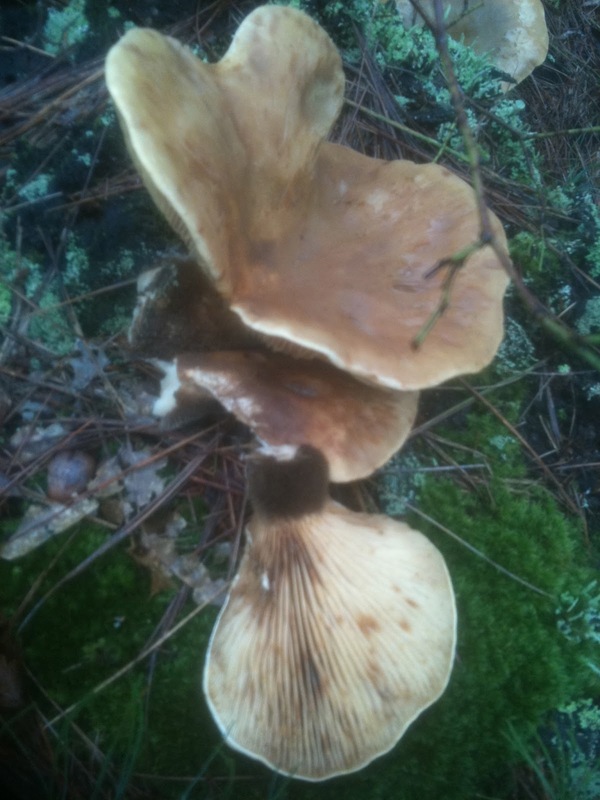 Defining Characteristics: Growing on stumps of conifers. 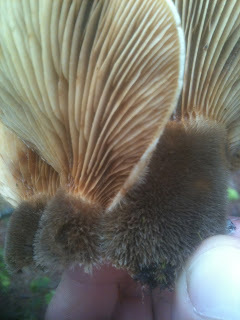 Shares some characteristic of oyster mushrooms (gills running down an off-center stem, growing in clusters), but has the unique feature of an extremely hairy stem. Yellow to brown spore print. It is not every day you find a mushroom that is not just hairy, but downright furry. The Velvet-footed Pax has a stem that looks like the fur of a mouse or wooly-bear caterpillar. It is known to primarily grow on dead conifer stumps, and this is where I encountered it myself. It is not reported to be edible. You probably won't see this little bugger often, unless you happen to spend your spare time in recently logged pine forests. For more information check out one of these links: Messiah College, or Mushroom Expert. Note the extremely hairy stem!